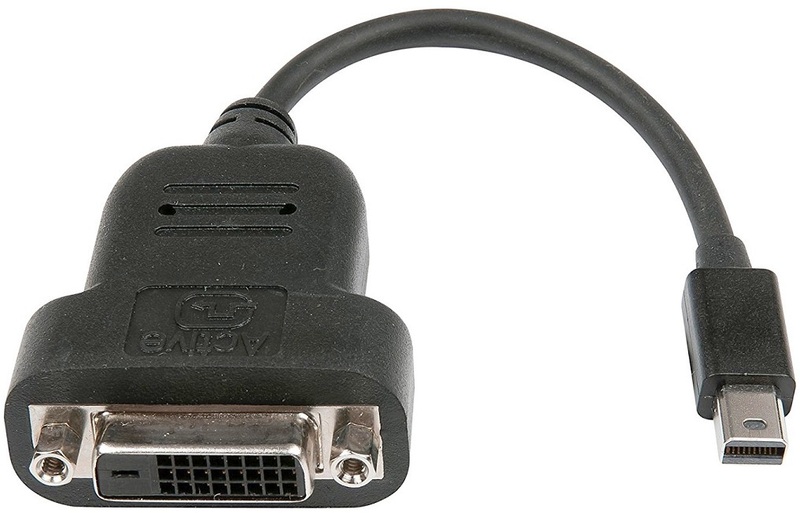 The UltraAV Mini DisplayPort to DVI Active Single-Link Adapter features a protocol converter that accepts a single-mode Mini DisplayPort output from your video source such as a PC or laptop computer. 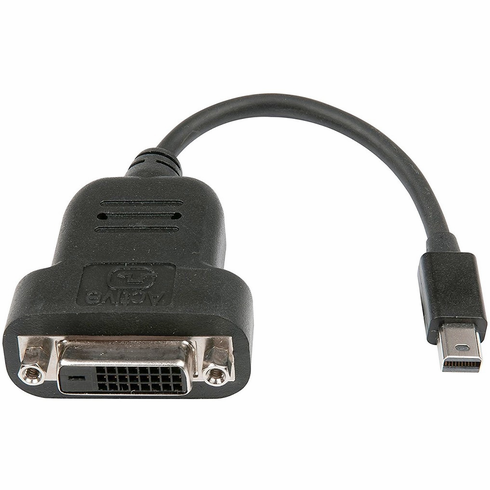 Using your DVI cable, connect the adapter to a DVI monitor or projector. 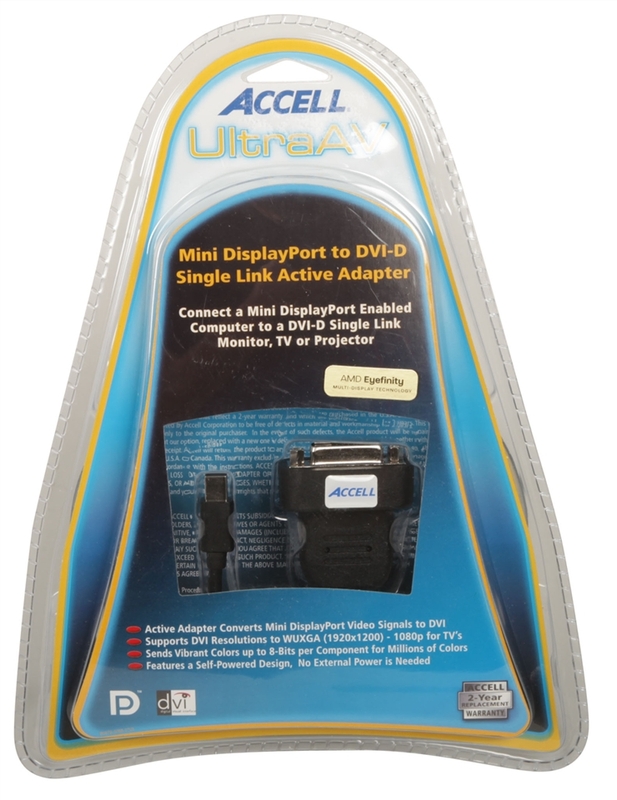 The adapter works with all DVI-D single-link monitors, displays and projectors, supporting a display resolution of up to WUXGA (1920x1200/60Hz) at 8 bits of color per component. The UltraAV adapter offers user friendly and seamless conversion between a DisplayPort graphic source and DVI display device. AMD Eyefinity Multi-Display Validated: This validation is awarded only to those products that have undergone extensive synthetic and real-world testing. This process helps ensure an optimal experience when using AMD Eyefinity Technology.